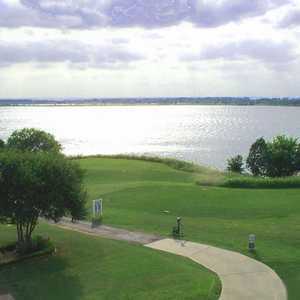 A Scottish-themed, links-style track that plays along the shores of Lake Lewisville, The Tribute one-ups the Tour 18 approach of modeling the world’s finest golf holes. 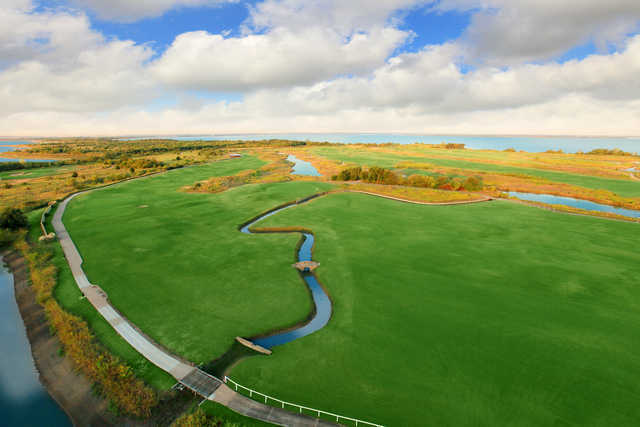 Patterned his design after the revered holes of St. Andrews, Troon, Prestwick, etc., Tripp Davis created an immaculate track that rolls over terrain strikingly similar to the dunes and grasses over the Atlantic. 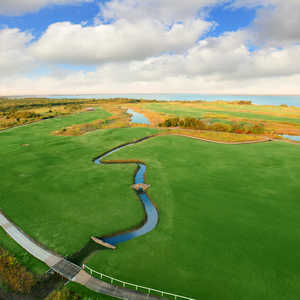 From the tips the course plays to a par 72 7,003 yards, but its most strikingly entertaining feature is its playability from the forward tees. In total, four sets of tees are available to even things out for the high handicappers. St. Andrews is well represented on the first and last holes at The Tribute, where they offer the world’s largest fairway as a great way to start and finish your round. Other notes: Don’t forget to inquire about the club’s seven guest rooms and available stay-and -play packages. The facility has hopes of opening another 18 and an adjoining hotel sometime in the near future. Getting there : From 75 Expressway, take Hwy. 121 west to 423 (main street of The Colony). Turn right (north) to Boyd Road. Turn left, then drive 2.5 miles to the clubhouse. My son and I played this course late this June in 100 degree heat. Since I've never played golf in Scotland, I can't comment about how close the designer replicated the various Scottish links. What a treat. 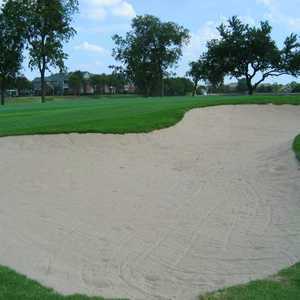 The fairways were virtually perfect, the bunkers were wonderfully maintained, and the greens were flawless. I can hardly wait to play The Tribute again in the Fall or Spring.